We explore techniques that will lead to the production of jewelleries by computational design. 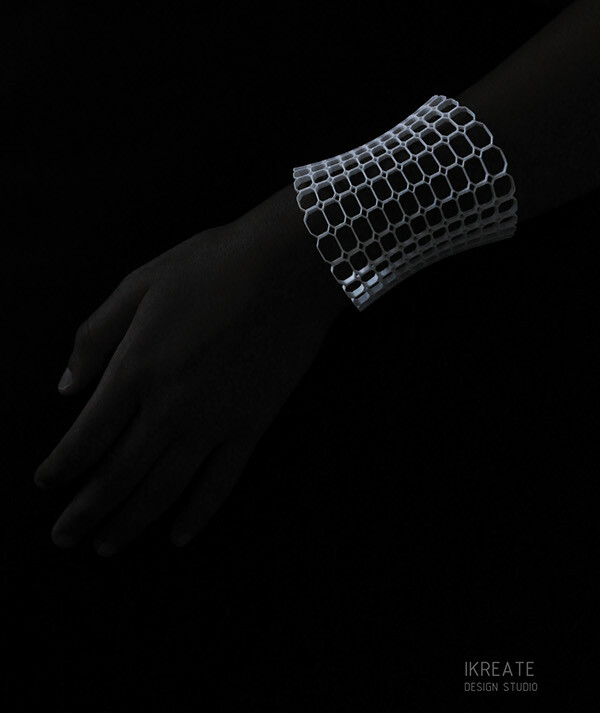 Our main aim was to generate a deformed grid, with different possibilities on how it will helped us to create cuffs, bracelets, earrings. First, it was necessary to alter the structure of the geometry – a plane particularly. The form of the subdivisions changed due to Chamfer Vertex parameter, through Autodesk Maya. We generated new grids, for each change. We chose one of the many possibilities occur, that was more appropriate. The use of an attractor, so as the fall off radius, gave 2d deformations and transformations on the grid. The attractor in the case of the cells, produce spots of more density, and spots with less density. 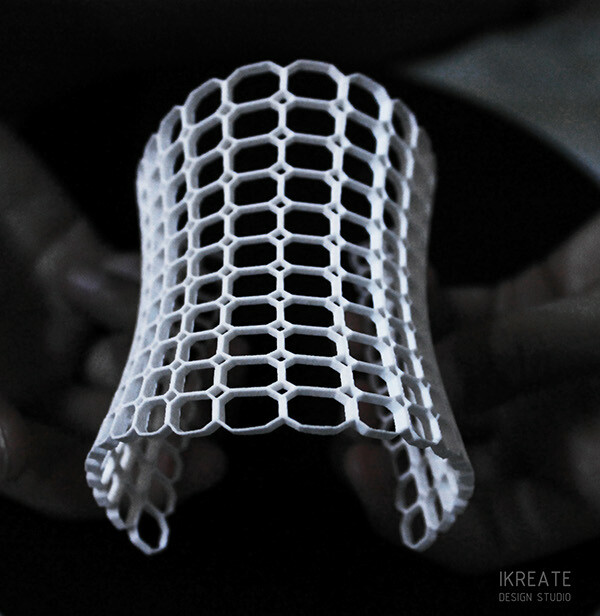 Besides that, the grid transformed, since it loses its basic form. In this case, we have produce a cuff, but we could produce some more jewelleries. The produced geometry is exported from Maya, then imported into the 3D software. 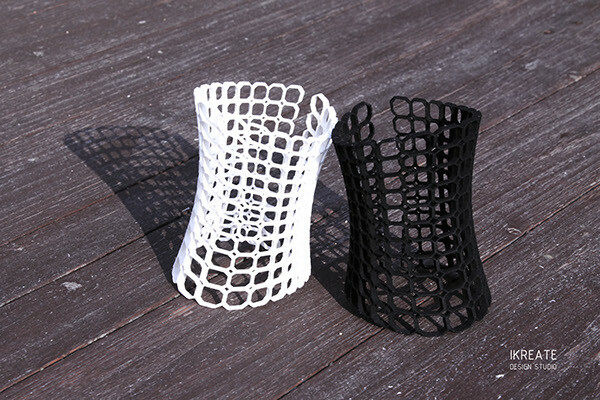 We have produce the cuff in real, giving a small flexibility, to be worn easily.